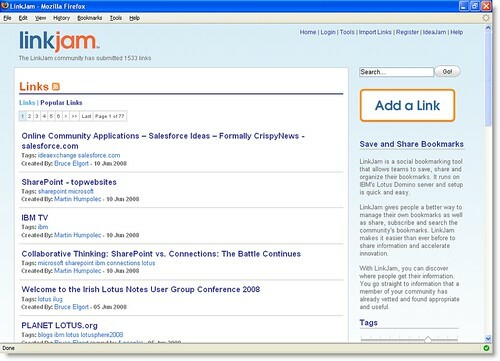 On Monday, June 16th 2008 beta testing of LinkJam will begin. LinkJam is a social bookmarking tool for IBM Lotus Domino that allows businesses to easily save, share and organize their bookmarks. We have a few beta testing slots left If you are interested. 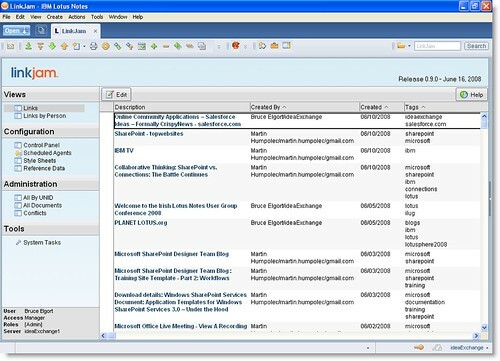 General availability of LinkJam is expected mid July 2008.